My name is Matthew Taylor. I am a fifth generation Floridian with my ancestors coming from a penal colony in Coffee County Georgia in the early 1800’s. My great grandfather was born in a wagon during the trip from Georgia and one of my distant cousins was former President Zachary Taylor. Southern pines, cypress trees, palmettos and saw grass are in my blood. I’ve hunted all types of game throughout Florida and fished for everything from Blue Gill in little cow pasture ponds to Dolphin 60 miles off the coast of Big Pine Key. I am the epitamy of a Florida Sportsman. The Taylors have always loved the outdoors. Not just the hunting and fishing, but the outdoors themselves. To me, walking across a pine island in the early morning while the fog is still heavy, carrying my rifle waiting for that big buck to jump up in front of me is when I feel the most alive. If he jumps up, great. If not, that’s fine too. I’m there to be in the woods, taking that buck is just a bonus. Mr. Grandfather (Nathan Taylor, Sr.) was born in the early 1910’s. He started traveling to the Everglades in the 1920’s with a cousin of his who was a game warden at the time. Before long, he began hunting the glades religiously, eventually leasing some 24 sections of land from Baron Collier in his early years. (For those of you who may not know, a section is one square mile of land or 640 acres. 24 sections is the equivalent of 15,360 acres). This was long before even the great Calvin Stone set foot in the Glades, when the Alley was not even a dream and a swamp buggy consisted of a Model A with chains on the tires and a hand winch and shovel to get yourself out of the muck. 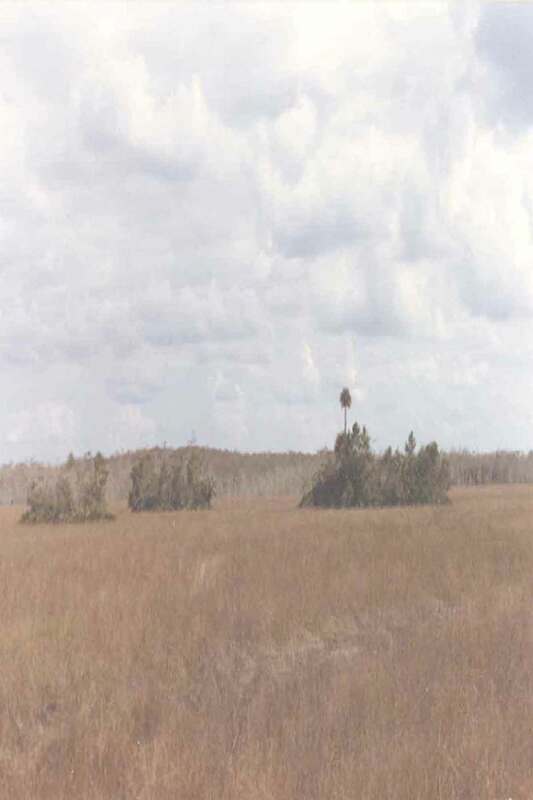 My first trip to the Glades occurred when I was five months old. My family would load up all the gear necessary for a trip to the Glades or “the woods” as we often referred to it, and pile into my Dad’s pickup along with a bed full of hunting dogs, a trailer carrying a swamp buggy and head off to hunting camp. Some of my earliest memories are of riding on our swamp buggy at night, sitting between my grandfather and father as we chugged along through the cypress trees in the dark headed to camp. I can recall Thanksgivings spent in the Glades with a table full of family and friends, my Uncle E.T. holding a pitcher full of turkey gravy in one hand, his hat in the other, his head bowed as he said the blessing. We would all sit together under the glowing hiss of a Coleman lantern and enjoy each others company, good food and beautiful scenery that only the Glades could offer. Days started early at camp, usually hours before dawn. My Grandfather would get up first and walk from his sleeping cabin to the main cook cabin and start the coffee. Everyone would ease out of bed, grab a cup of the worlds strongest coffee “expertly” brewed in a vintage Navy boiler coffee pot and plan the day’s hunt. My brother (two years younger than I) and I would tag along with my Dad and Grandfather carrying Daisy Red Rider BB guns before graduating to shotguns later in life. We’d slip through the pines and palmettos, across the saw grass flats and into the deep cypress swamp to spend the day sneaking along or trying to cut off the our deer dogs as they trailed a deer in the distance. We’d return to camp on most days in mid afternoon, grab a quick bite to eat and then head off to sit on one of many tree stands spread out across the Glades. In these stands I’ve seen sights many people only dream about. While perched high in a tree, I’ve watched black bears with cubs, panthers, hogs, deer and countless other animals that call the Glades home. After sitting for a few hours, we’d climb down as night fell and head back to camp, sometimes on foot with a flashlight to guide our way, other times on a buggy. Back at camp, dinner would be ready and we’d all eat our share. Afterwards, we’d do the dishes, take a hot shower then relax by a campfire of lighter’d knots or stumps and listen to the whippoorwills call to each other in the night. We’d tell stories, share laughs and then retire to our beds to do it all again the next day. Some nights we’d hop on a swamp buggy and go riding through the woods. I can remember stopping in the middle of a saw grass pond, turning off the buggy and its lights and looking up at the stars above. That far away from the city lights, the stars look like they’re right down upon you. Hunting the Glades was not for the weak at heart or spirit. It was hard work most of the time. The preparation, the travel, the up-keep, the repairs, the breakdowns, …and the list goes on. But we all loved it and would do it all again even if the work were twice as hard. We lost our lease in the Glades approximately seven years ago. Other than losing my Grandfather, I’ve never experienced pain like that before or since then. I cannot begin to describe the feelings my family and I have for those woods. It goes way beyond love and respect. The last time I saw our hunting camp was through the rearview mirror of my pickup truck as I drove out of camp. I’m man enough to say I shed a tear as I drove off. However, I still carry with me the bittersweet memories of my youth in the Glades. Steve has been kind enough to allow me to share some of my stories of the Glades with you by posting them on his website. I have many to tell. In addition, I have numerous pictures from way back to present that will shed some light on the adventures and experiences we shared in the Glades. I’ll keep the stories coming until Steve tells me to quit. I hope you enjoy them.